I would start my time in NYC two days before the official start of NYCC. 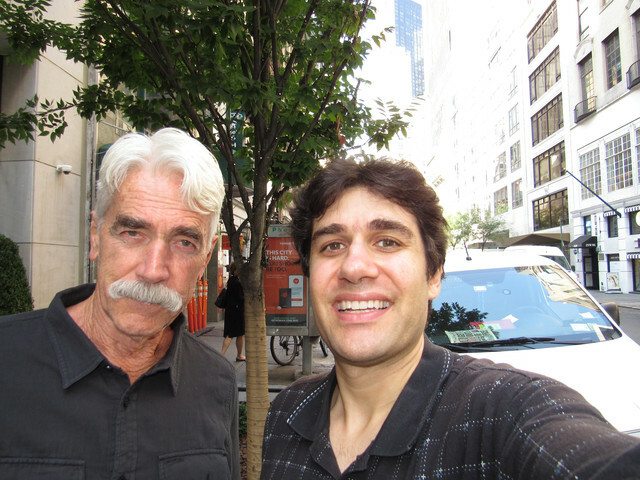 My main reason for doing so is because I found out Sam Elliott is coming to NYC earlier than scheduled (info that no one else in NYC found out). Sam being a huge want of mine, I made sure to keep it as secretive as possible! Only told a couple of people and made them swear not to leak it out. Since he was scheduled for events involving Bradley Cooper and Lady Gaga, I wanted to make sure I get him before all the madness began and the hoards of NYC combo hunters would attack him. So I arrived and waited at the spot he stayed at, couple of hours later he came out with his daughter and did a combo with me no issue, even thanking me. After that I wouldn't get more combos for a while both because I had a non-combo related endeavor and some failures. Tried for Claire Foy at a spot but never saw her so she garaged it. Then I had two events, one was a Claire Foy event and one was a Robert Pattinson event. Could not do both. I chose Robert as Claire would have been an upgrade and Robert would have been a first time meet. That was a huge error because Robert only did a few in the front rail spots and I wasn't able to get a shot whereas the Claire spot was calm and she stopped. Next up was a spot for the band Simple Minds. I still don't have the guitarist Charlie Burchill. 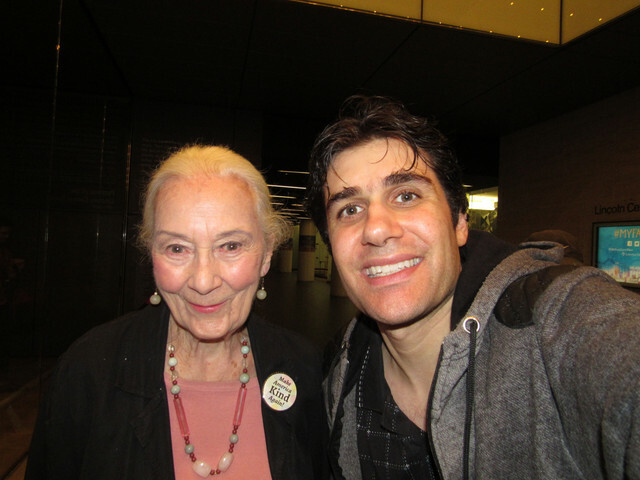 It was raining hard so I moved to an indoor spot for actress Rosemary Harris (Aunt May in the Sam Raimi Spiderman movies). Have her but my shot is bad so I needed an upgrade. She came out with the audience and was nice. Then I got a tip for another Claire Foy spot. Again it was indoors. Rushed there and got the director of her movie but sadly she didn't stop. At least I technically have a valid shot. Rushed back to Simple Minds, but unfortunately the rain cause them to be rushed into their van. All I got here was Mike Peters of The Alarm but I got him before. With that I called it a night. Nexy day I start at a spot with some names that would be at NYCC. Best score is Chelah Horsdal from Aliens vs. Predator: Requiem and Rise of the Planet of the Apes. I got a first time Donald Faison but I would later get a better shot at NYCC. I saw David Boreanaz and he gave me a God awful autograph (the guy signs his already bad autograph on bad spots on purpose). Didn't need to fight for a photo with him as I got him before. Updates include Alexa Davalos and Bobby Moynihan. 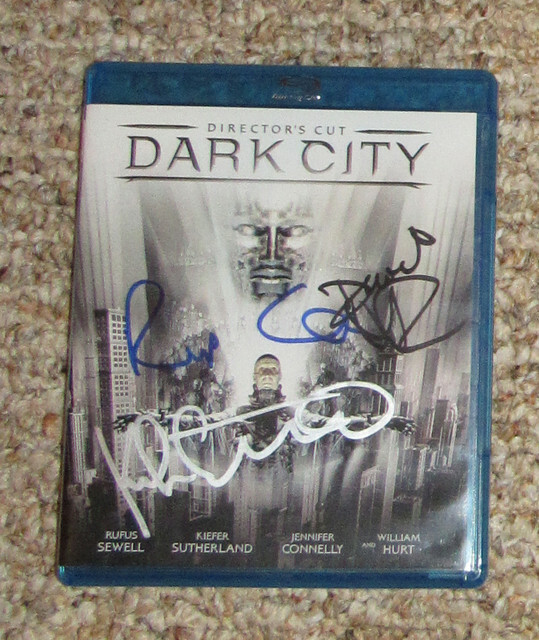 Also got Rufus Sewell to sign my Dark City blu ray (didn't need a photo op as I have him). Next up was the Tiffani Thiessen book signing. Good to have a guarantee for a change. Books were pre signed and she stood for photo ops. 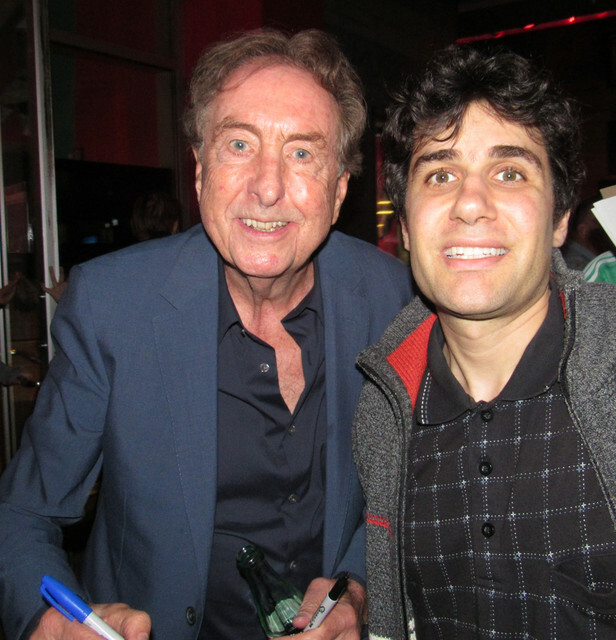 Next spot was for actor Eric Idle. Heard he used to be tough for the photo but he's been nicer lately. Got to the spot and he took care of all. Got him on my Transformers Movie poster. Final spot for the evening is for Stockard Channing from Grease. Sadly missed actress Megalyn Echikunwoke as she left before I got there. 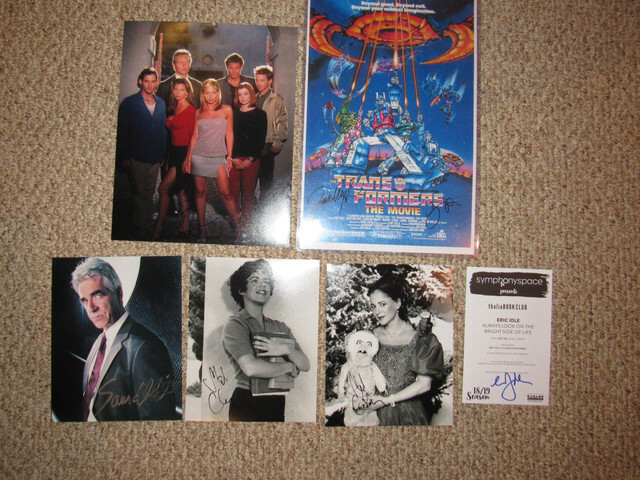 But got a photo op and autos from Stockard (she would eventually shut down photo ops then shut it down completely). Last edited by class316 on November 16th, 2018, 2:29 pm, edited 1 time in total. After that I wouldn't get more combos for a while both because I had a non-combo related endeavor and some failures. Tried for Clair Foy at a spot but never saw her so she garaged it. Then I had two events, one was a Clair Foy event and one was a Robert Patterson event. Could not do both. I chose Robert as Clair would have been an upgrade and Robert would have been a first time meet. That was a huge error because Robert only did a few in the front rail spots and I wasn't able to get a shot whereas the Clair spot was calm and she stopped. Considering you gave ICW grief, it's CLAIRE Foy and Robert PATTINSON. As for David, yes bad graphs, but why would you print a Buffy cast photo for the guy? I mean, should've just printed a solo 8x10, he might have done it better. Who else signed the Transformers poster? I didn't print. Kush offered it to me. Jack Angel. You were there.